On International Women”s Day 2014, celebrations are taking place worldwide under the theme “Inspiring Change”. In Sri Lanka, women”s organisations in particular are involved in various programmes across the island during the month of March. 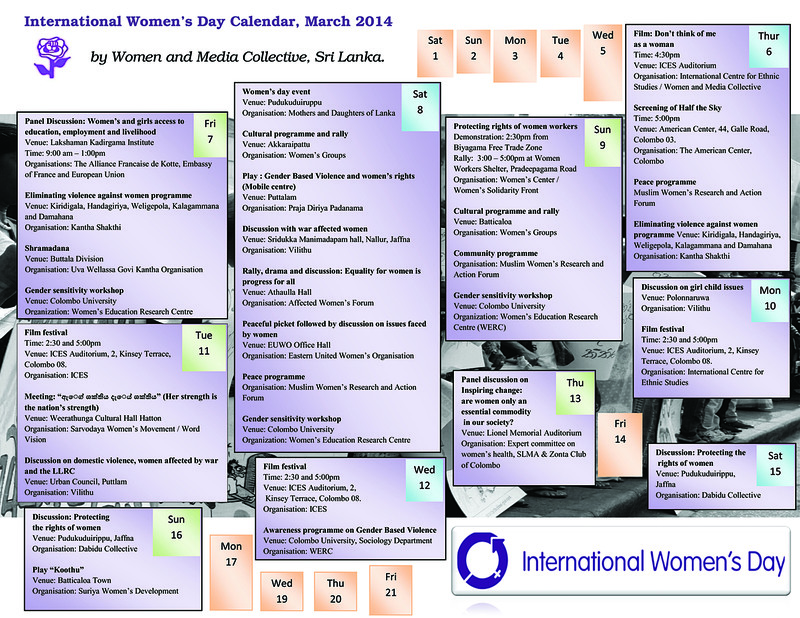 To keep you updated on this years events here is a concise calendar of events for IWD 2014 in Sri Lanka. If you are unable to view the details of this image please click on it and then right click and save the image onto your computer.